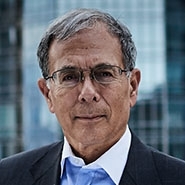 Herrick, Feinstein Partner Scott Mollen is quoted on fraud claims against DataTreasury. Mollen, who represented DataTreasury founder Claudio Ballard and two other individuals, said the suit "transcends intellectual property and impacts the entire field of business contracts." He added, "Many businesses have defended claims based on oral joint ventures, where the plaintiffs don't have written contracts memorializing the alleged agreements."